It is great news for us, Reliance Jio now allows you to recharge through paytm. Here we are facing some problem for Jio recharge for few days, but now the problem was solve. If you are want to recharge your Jio number you can go your paytm app or paytm account and recharge your Jio number. 1st march we try to recharge Jio number for JioPrime membership only through jio.com or myJio app. Now the online recharge option available and India's popular online transaction app is paytm. So we are happy to get this recharge option. Now paytm give us Rs.30 less for Rs.303 Jio's monthly plan recharge. 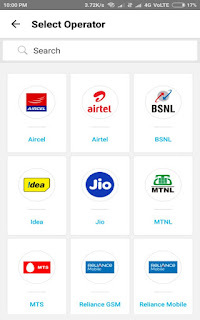 Before Jio recharge you can must use the promo code ''PAYTMJIO" and Apply then you can see your promo code apply successfully and pay only Rs.273 for Rs.303 plans. You can see your paytm app this types of operators allow through paytm recharge.